People of all ages are subject to developing oral health problems, especially if proper oral hygiene is not maintained. With the proper home care and regular dental checkups and cleanings, you’ll help promote your oral health for a beautiful healthy smile to last a lifetime. At Complete Dental Care, we are a leading dentist in Burlington. With a commitment to complete excellence when it comes to your oral health, we have the best dental hygiene tips to keep your mouth healthy in between dental visits. The very foundation to good oral hygiene is proper brushing. 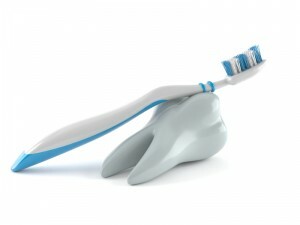 You want to brush at least twice a day using a fluoride toothpaste to remove food particles and bacteria. When brushing, hold the brush at a 45-degree angle against the gum line and gently sweep away from the gum. You’ll also need to brush the chewing surface and behind the teeth as well. Pay careful attention to difficult to reach places. Don’t forget to brush the tongue and cheeks. When brushing, it shouldn’t hurt and the gums should not bleed. You need to floss your teeth daily to remove food and bacteria that accumulates between the teeth. Ideally, you’ll want to use about 18 inches of floss, which leaves you an adequate amount of floss to work with. Then, gently insert the floss between each tooth, extending all the way up to the gum line, but be careful not to snap the floss onto the gums. Certain foods and drinks are known to cause cavity as they eat away at the enamel. In addition, many can lead to tooth staining. Avoid drinking soda, coffee and acidic drinks as they can cause cavities. Also, avoid any sticky foods that are difficult to remove from the teeth, as well as foods that contain a lot of sugar or acid. Healthy teeth start from the inside out, which is why it’s important to consume proper amounts of calcium, vitamin D, and phosphorus, which play a key role in the formation of healthy teeth and gums. Even in adults, the calcium and vitamins will help keep the jaw bones healthy and strong. In addition to home care, you also need to visit your dentist about every six months. At each visit, your dentist will clean the teeth and use preventative treatments to help combat oral health issues. Your dentist will remove any plaque and tarter accumulation that has been missed with brushing and flossing to keep the teeth healthy. At each visit, your dentist will also look for any areas of concern that may require intervention. As a leading dentist in 01803 areas, we provide complete dental care, including preventative services. We’ll provide the comprehensive dental checkups and cleanings you need to promote a lifetime of excellent dental health. We will work with you to prevent cavities with fluoride treatments and sealants, while polishing your teeth for a beautiful shine. Let the friendly and caring dentist in Burlington keep your teeth strong and healthy. Contact us today for an appointment.